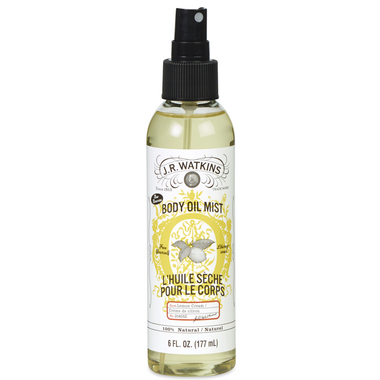 This luxurious, quick-dry spray leaves your skin smooth, soft and nourished. The Apricot kernel oil and Vitamin E combine to hydrate your skin and lock in moisture. Lemon cookies, bars or cake fresh from Grandma's oven...yes, it's just as tempting and yummy as that. Thinking this would smell like the lemon lotion...nope! The apricot and coconut power out any lemon; added 30 drops of lemon oil, still not zesty enough. As a body oil, works great. Moisturizers skin for at least six hours. Will try adding more lemon oil. If it doesnâ€™t zest-up, Iâ€™m not going to purchase again.